One of the reasons we are excited about the M12 line is mostly because of the power that Milwaukee has managed to put in their M12 Impact Driver. 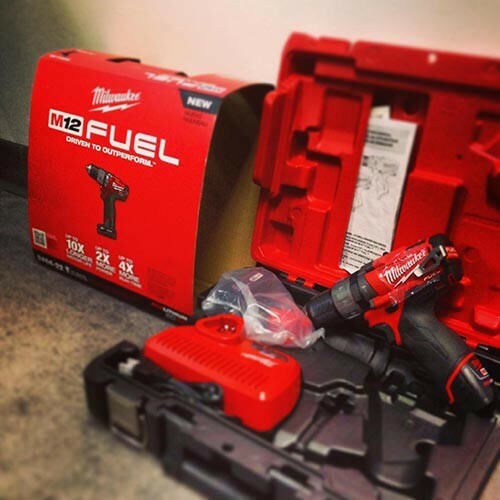 The M12 impact has finally reached the point of being a real replacement for the heavier 18-volt power tools. The drills are not quite at that level yet, but I am sure it won't be too much longer for them to match their 18v counterparts. Normally using an 18-volt and a 12-volt tool together means you need two different chargers, but as we saw with our Milwaukee 2604-22 M18 Fuel Hammer Drill Review, Milwaukee also makes a sweet little dual voltage charger. I am sure Tyler Tool will be one of the first to get the new M12 Fuel line, so be sure to check them out.